There are many opportunities for students to develop personally through service and leadership, including through the House System. 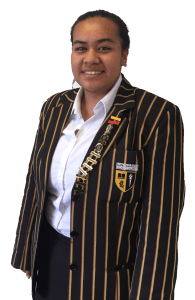 Faithful was surprised and pleased to be elected as Head Girl, and along with focusing on her studies she is spending her time planning school events, setting goals and getting to know her fellow students. She enjoys working with the other members of the prefect team and sharing her experiences with younger students, especially Year 9’s. During her time here Faithful has been involved in an impressive array of school and extracurricular activities, including being a Peer Mentor, and she is currently playing hockey for the school and is coaching the 10A Netball team. She also served as Samoan Group Leader at Polyfest this year, and was privileged to tour Polyfest with Prime Minister Jacinda Ardern. Faithful was honoured to lead our Samoan students as they performed seven items on the Samoan stage, well and truly stamping their mark on Polyfest. 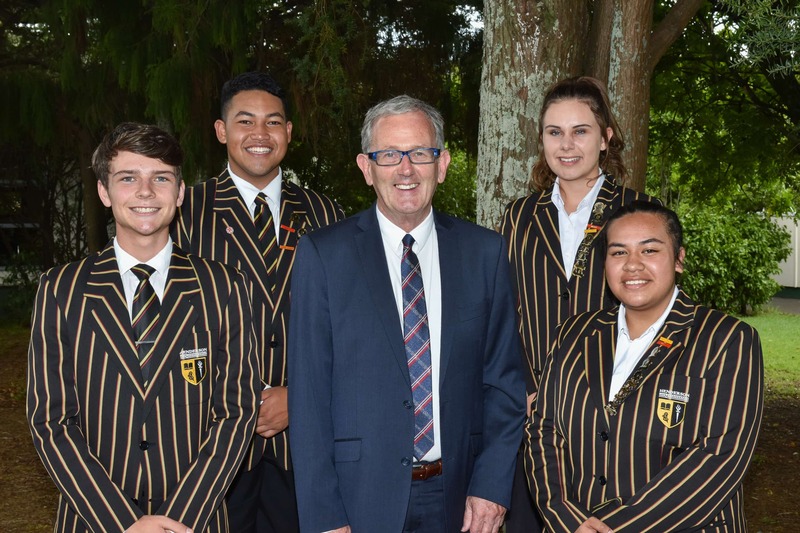 Faithful gained an endorsement at NCEA Level 1 and 2, and is aiming to balance academic and extracurricular demands this year in order to gain endorsement again at Level 3. She plans to study Psychology at Auckland University and work in the mental health field serving our Pasifika community. Faithful is responsible and motivated; a true all-rounder, blending high academic and sporting achievement with enthusiastic participation in extracurricular activities and the wider school community. Head Boy Grayson was surprised and honoured to be selected to be a student leader and is looking forward to enjoying all the challenges that the year ahead will bring. Grayson gained Excellence Endorsements at NCEA Level 1 and 2 and received the Principal’s Endorsement for Outstanding Effort at Senior Prizegiving in 2017. He is aiming to repeat this performance at Level 3 this year and gain entry to study Mechanical Engineering at Auckland University next year. His studies in Calculus, Physics and Digital Technology will assist him with this. Grayson has been particularly inspired in our Technology department; in 2017 he received First Prize in Level Two Digital Technology. This interest has been nurtured and encouraged by his Technology teachers, who also motivated him to take part in the Evolocity programme last year. This is a competition where teams of students compete in designing and building an electric vehicle. 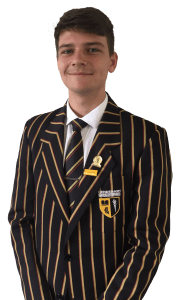 He was part of the school team which came first in their class for the Evolocity Drag Race; they also received the EVy award for Video and Social Media Communications for their video about the death of the combustion engine. Grayson is pairing his enthusiasm for technology with his interest in business this year, and is a member of the Volt Electrics team taking part in the Young Enterprise Scheme for 2018, creating and selling e-bikes. Our school has a proud tradition with the Young Enterprise Scheme, and Grayson and his team are excited to represent Henderson High School again this year.